Nixnie was on show during the four-day December special workings at Valkenburg, Netherlands. 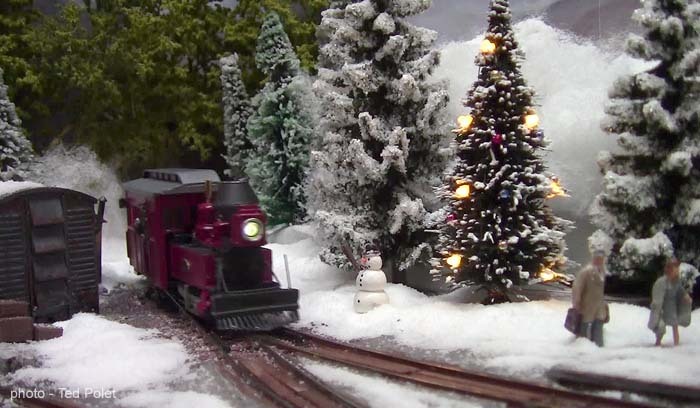 In addition a huge tinplate gauge 0 layout had been set up in the museum. Nixnie in a snowy setting at Valkenburg. Photos and video of the December operations are under the buttons below. 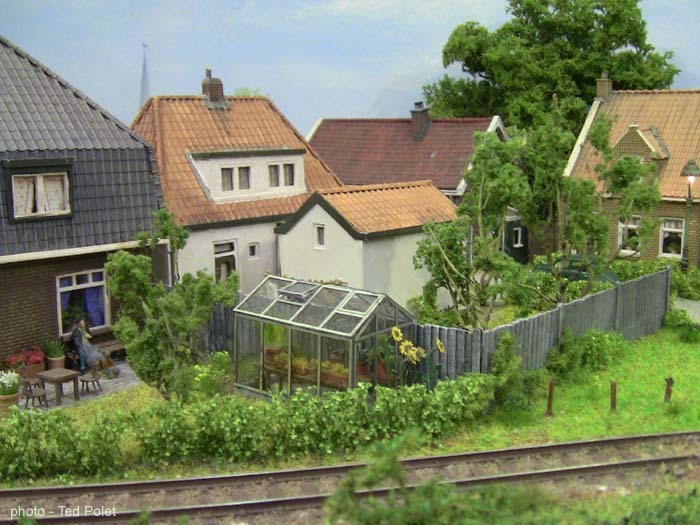 The Dutch group took part with two layouts: Stichting Behoud Leemspoor and Mouburg. In addition we visited the Bredgar & Wormshill Railway and the Romney, Hythe & Dymchurch Railway. Mouburg at Expong. Photos and video of Expong are under the buttons below. 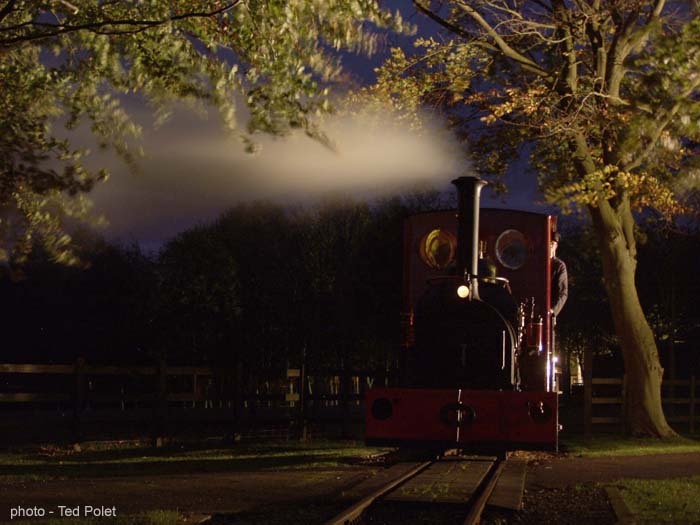 Evening on the Bredgar & Wormshill Railway. Photos and video of the visit to Bredgar are under the buttons below. 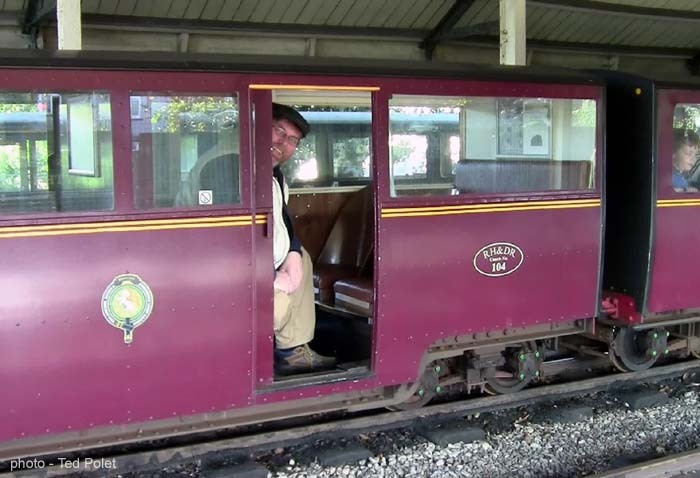 Jaap Stuurman on the Romney, Hythe & Dymchurch Railway. 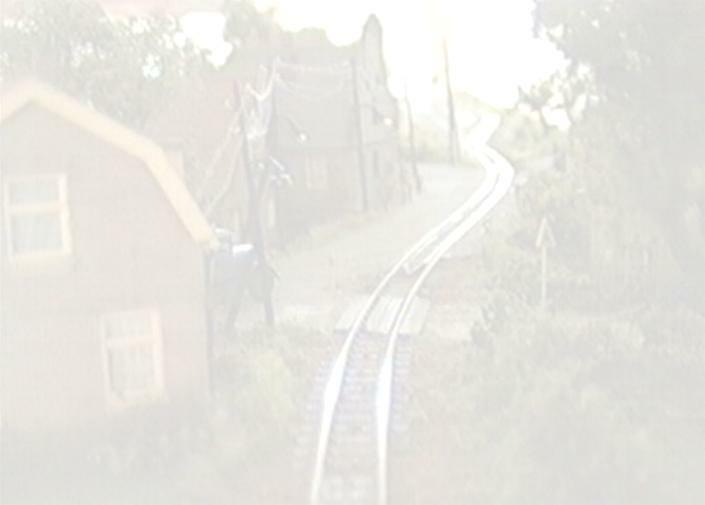 Photos and video of the visit to the RHDR are under the buttons below. 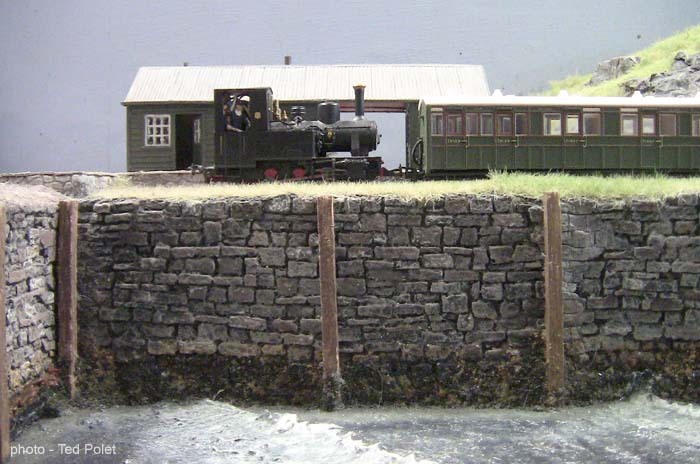 The Dutch group took part in the 2014 Valkenburg show with 6 layouts: Mouburg, Halte Weijerweg, Daheeme, Yurze Ore Mine, Stichting Behoud Leemspoor and Rae Bridge. Apart from those there was a huge selection of top class layouts in various modelling scales. Jacky Molinaro's 'Briqueterie de Saint-Aubin' in 1:24 scale at Valkenburg. Photos and video of Valkenburg are under the buttons below. 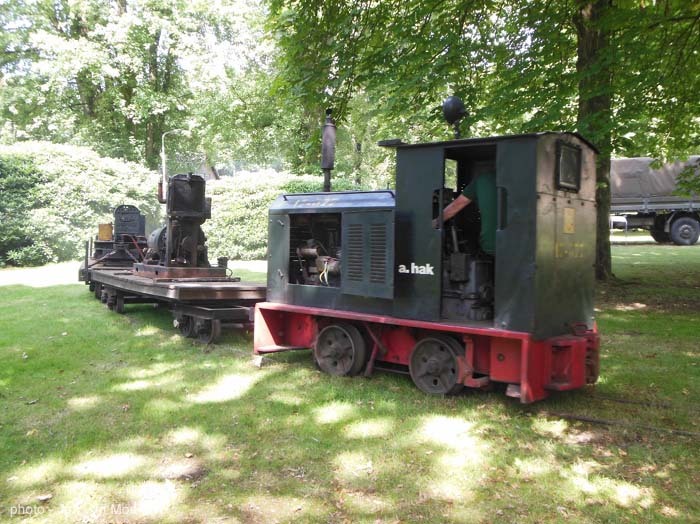 In 2014 the Dutch Group visited two museums with a narrow gauge connection: in May we went to the brickworks museum 'De Werklust' in Losser, in the east of the country, and in July we went to the Decauville Military Railway Museum at De Harskamp. De Werklust was preserved as a museum immediately after closure. A mobile dredger at De Werklust. Photos and video of our visit are under the buttons below. 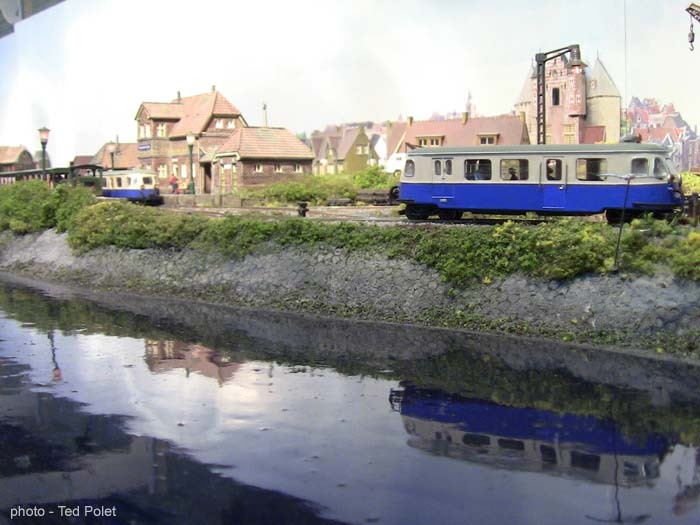 The Decauville museum is situated in a former Army camp and evolved from the military narrow gauge lines on the site. Photos were made by Jan van Mourik and Ruud Wittekoek. 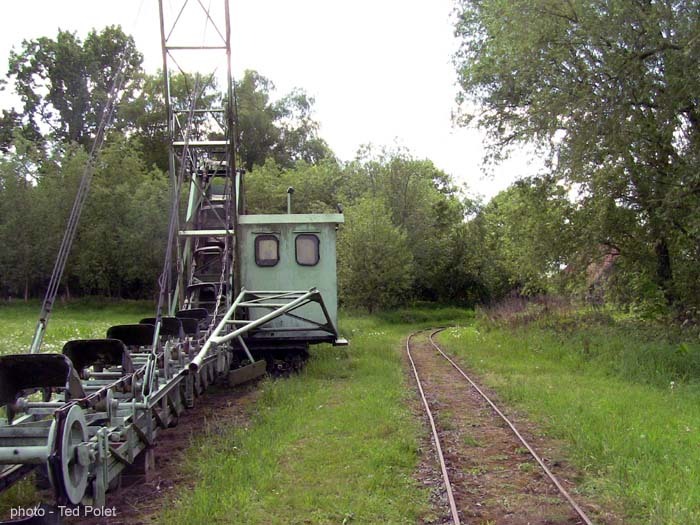 A Deutz working over the Decauville museum tracks. 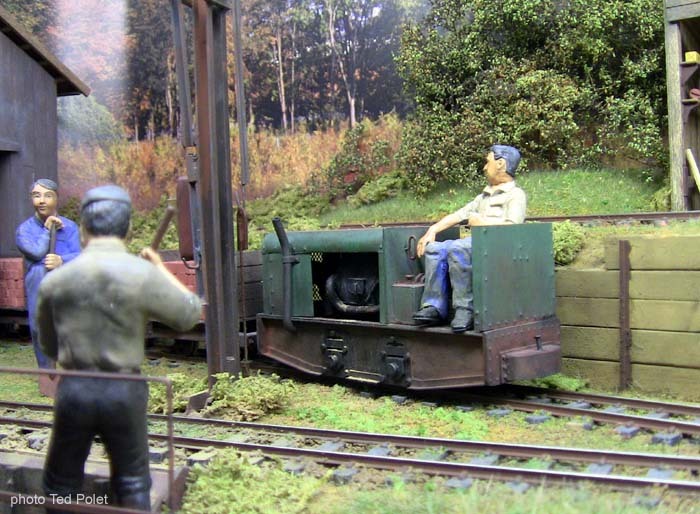 We visited and took part in a number of model railway shows early in 2014: Rail2014 at Houten, Utrecht, Netherlands, and the Goes model railway show (both in February), and at the start of April I went to Narrow Gauge South at Sparsholt near Winchester, UK. The Goes show was attended by Mouburg (Jan van Mourik) and Gindsweid (Gerbrand Haans). 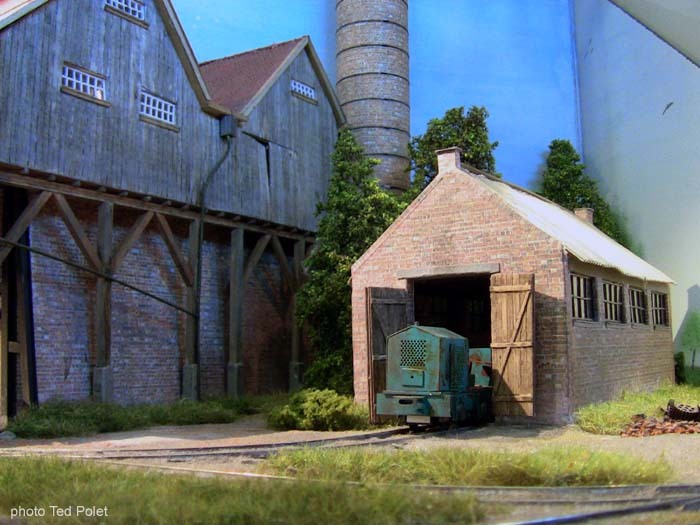 Hans Louvet's brickworks in 0e, seen at Rail2014, Houten. Photos and video of Rail2014 are under the buttons below. Gerbrand Haans' Gindsweid, seen at the Goes show. Photos and video of the show are under the buttons below. Tom Dauben's Isle Ornsay, seen at Sparsholt. Photos and video of Sparsholt are under the buttons below.